2011. Festival team: Kārlis Kanders, Jēkabs Groskaufmanis, Rūta Miglava, Artūrs Tols, Antons Jurčenko, Kristaps Kazaks, Ieva Zvaigzne, Liene Kazaka, Linda Vīksne. 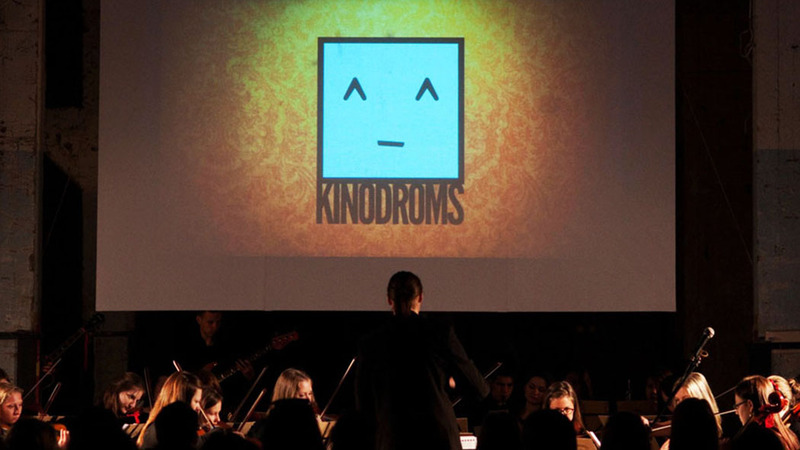 The nation-wide short film festival ‘Kinodroms’ organized by galjafilms and their friends took place on April 2011. Over a period of 4 weeks six film screenings were held all around Latvia, making it the biggest event to the date oriented towards young amateur filmmakers. Four semi-finals were held in Riga, Jelgava, Valimera and Daugavpils to determine the shortlist for the final. The entries were judged by a professional jury and public vote. Best films from each region advanced to the final screening in Riga, on 29th of April 2011, where the Grand Prix was awarded. We met lots of helpful people we need to say thanks to – International Cinema Center, Riga State Gymnasium No.1, VEF art centre and Kaspars Lielgalvis. Visual identity and promo materials of the festival as well as a brief recap can be found at Kinodroms website (LV).